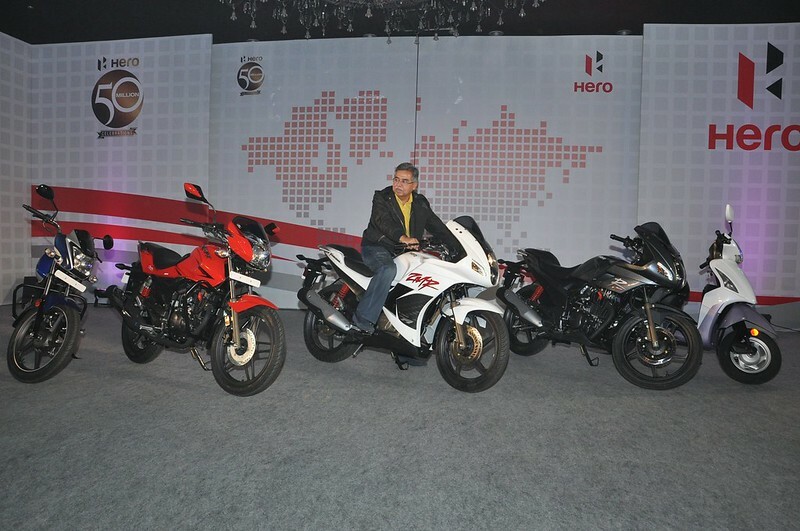 Hero MotoCorp had showcased its 2014 lineup sometime last week. The changes to the products are mainly cosmetic with an exception to a couple of bikes. Though the changes seem superficial and there are many who will term this excercise as futile, the company claims that this point onwards it will be focusing on all new products. The refresh will keep customers attracted to the brand while it slowly develops the upcoming models, Hero plans to have a 50+ product strong portfolio by the end of 2014. Hero stopped its partnership with Honda in 2011, and has since then been updating its product portfolio with the promise of better things to come by the end of 2014. The updated range will be launched in India in a phased manner in the coming months. This story will be updated as we get more info on the refreshed models. Do bookmark the page.